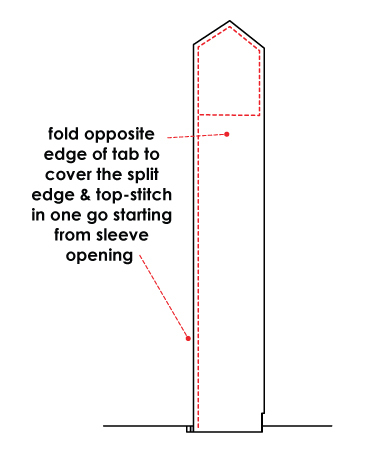 You can use this technique for sewing sleeve split tabs, neckline opening or stylised hem splits. 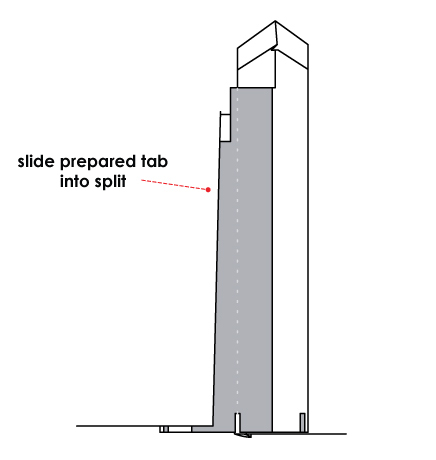 This method is easy & will make your split neatly finished. Sewing tabs is 80% preparation & pressing & 20% stitching. Press outer seams of tabs. Then fold in half & press. Make lower part about 2mm wider then upper. 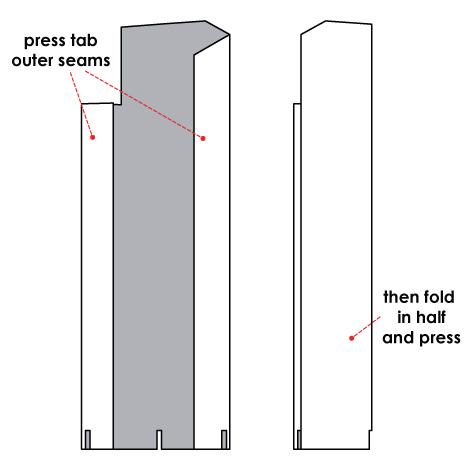 Open the tab & cut edge upto fold (leave approx. 2mm allowance). Then fold & press. 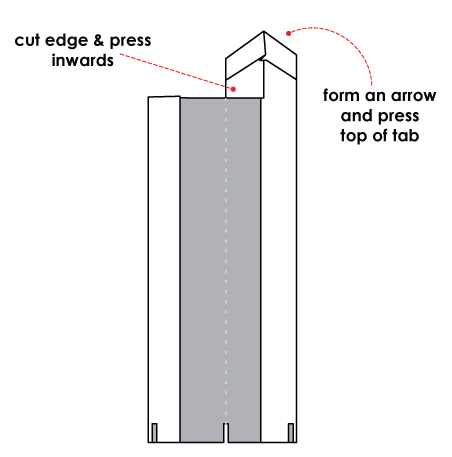 Then form an arrow (or any other desired shape) at the top of tab & press in place. 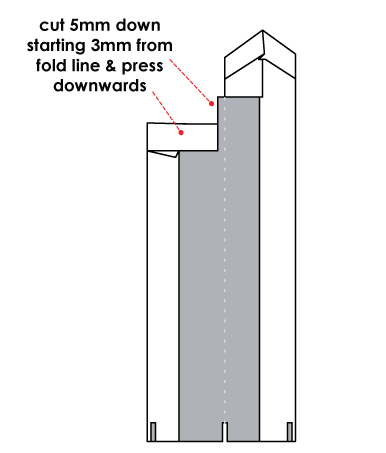 Cut 5cm down (starting 2-3mm from fold line) & fold at the top lower part of tab creating finished edge. This edge will be visible from the inside of the sleeve. Now it’s time to prepare the opposite side of split. 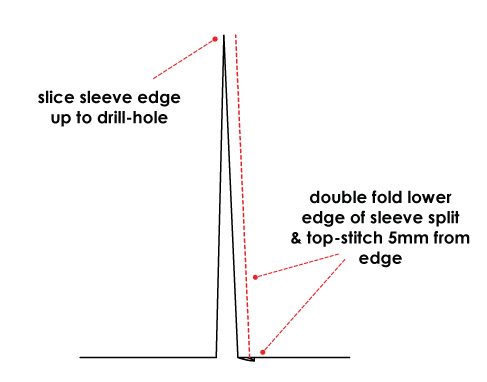 Take sleeve & cut split from hem upto drill hole marked on pattern piece. Then double fold the opposite edge of split making seam allowances as short as possible & top-stitch 3-5mm from the edge to create neat split edge. For neater look you can bind the edge. Slide prepared tab into split & fold over. Make sure tab in covering the opposite edge of split & is sitting straight. Finally fold tab to cover the split edge & top-stitch from hemline up, around top corner & across (to catch the lower parts in seam) in one go. Press finished sleeve tab neatly.